This year’s family education night hosted by BLA’s Friends of the Lake committee took place on July 25th. We were pleased to have Ben Chabot, Park Superintendent of the Frontenac Provincial Park provide us with an overview of the Park, a few insights into their newly approved Management Plan and clarify some questions on Park Entrance Fees, along with other useful information. 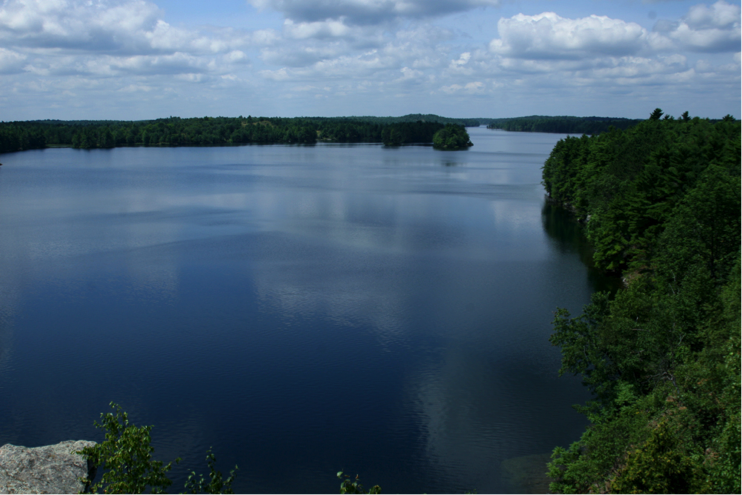 At a high level, the purpose of Frontenac Provincial Park is to protect an outstanding natural environment within the provincial parks system and to provide high quality, dispersed, low intensity recreation. In order to attain this purpose, a management plan is created. Frontenac Provincial Park provides visitors with the opportunity to experience backcountry travel rich in varied animal and plant species along with cultural history. It is centrally located between three large population centres of Ottawa, Toronto and Montréal and is within a three-hour drive for almost nine million people! The central concept of the Park is called “Threshold to Wilderness.” As such, its main objective is to teach wilderness skills in a semi-wilderness settings. For example, for those of you who have never camped before, the Park offers many resources to help make your first camping experience an enjoyable one. But Frontenac Park is much more than that: it is a wonderful place to backpack, hike, canoe, camp and observe nature – all year round! It includes 22 lakes, 48 interior campsites, and 160 km’s of hiking and backpacking trails! Per Day – Entrance day fees which allow day use activities and is based on bringing either a vehicle or canoe/kayak (and their occupants) into the park. If you do not arrive by vehicle or vessel, then you are allowed to enter the park for free – for day use only! Also, if you enter by kayak, then two kayaks (and their paddlers) can enter for the price of one! Seasonal Permits – the various permits not only allows the vehicle and its occupants to enter Frontenac Provincial Park, but to enter any other Provincial Park in Ontario (that are open during said season).